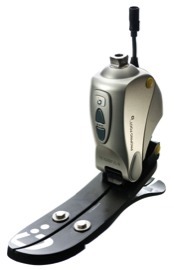 Manuel Garcia Prosthetic and Orthotic Centers has been an industry leader in microprocessor controlled prosthetic technology, as new technology is developed we are on the front of it's development and utilization. 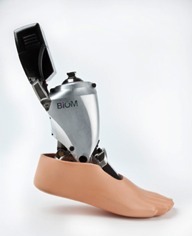 We have Beta tested multiple products for manufactures developing new and innovative products for amputees. Live more independently, return to work, and live life with greater enjoyment and ease than ever before. 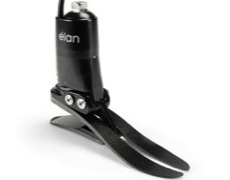 Ankle motion: lifts the toe to reduce the risk of trips and falls and mimics natural ankle motion to facilitate chair exit, reducing strain on the knees, hips, and back. Natural function: adjusts to different heel heights, allowing the user to safely change shoes while maintaining symmetry and alignment. It relaxes to flatten discretely to the ground when in a seated position, reducing pressure in the socket and knee while improving symmetry.